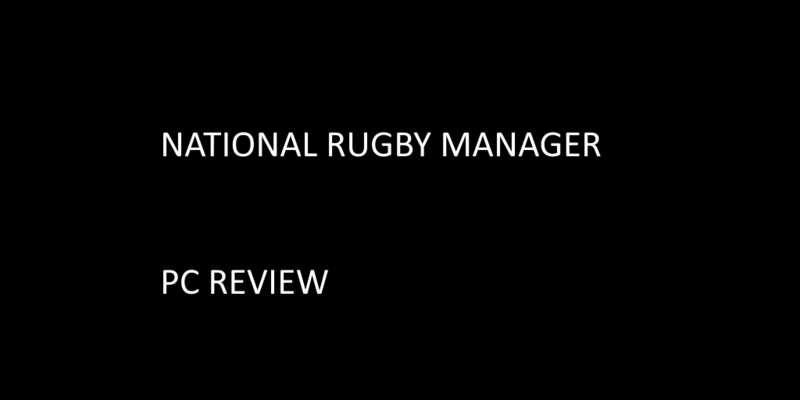 A management game for Rugby. Its about time!! I look at running a Rugby Union team and take them to glory. It touts the best match engine for a rugby manager game and we have our fingers crossed. It promised allot and delivered in areas. It then hiccupped in user experience which let it down. The best way to break down the gameplay is to describe the game is looking at in Off and On the Field. Broken down into basic sections on how to run the team of your dreams. Likenesses of teams and players are there. It played like any other management game. Office Section is the hub. Inbox, Finances and contracts – basically the role behind the scenes that causes the most headaches. Squad Section is clearly defined but lacks refinement. Selection – Would love to be able to quickly navigate different skills and sort them in a quick fashion. To stop start to keep going to the bottom corner to filter skills. Strategy – Super, love that they are aiming high. You can build the team to be different tactically to a tee. Breaking the field down into 5 parts and letting you build the strategy from the bottom up. Recruitment section – Transfers simply. It should be linked to the club’s finances but they aren’t visible. So again – clicking back and forth. Training – Train the players to your style of play. This needs to have an automated option in future. Everyone cannot be micromanaging to this level. Keep this in for people who want to go that far but having the option to get your fullback to lose weight – is very weird. Having successfully navigated through a tactics screen its time to sim it. Graphically the 3d Engine looks great with the presentation. Due to the nature of a rugby union game it does feel long – it doesn’t show highlights – again you are micromanaging everything. Original Game had only the French Rugby Union Divisions to begin with. Is it worth the cost? Yes, if you like Rugby Union allot. It has lots of good ideas, from the match engine to the strategy and selection screens – but needs refining to be more user friendly. Me as a casual sports fan was put off by how much you needed to micromanage and couldn’t just jump straight into it. I would love to try this again, when they refine it further and will keep my eye out. Having played tons of sports management games – this is by no means the worst but it cannot compare to the top hitters in bigger sports such as Football. It’s found its niche market and at its price point of £15.00, it has so much potential to build in that space. So many manager games aim higher and miss the point – National Rugby Manager hits a drop goal after not quite getting it over for a try. Disclaimer, I played this without the DLC. – European Rugby Pack AND Southern Hemisphere Pack – £5.00 Each. 53 new teams for £10.